(Taking some liberty with the facts). Imagine for a moment you are the product manager for augmented /autonomous driving at Volvo. You have got every different type of snow and ice covered. You have figured out how to find parking at IKEA, at the back of the store where you collect the Billy Bookcases on the mind of its own trolley. (You even have a stage two feature lined up with a robot that manoeuvres the IKEA trolley and loads the car for you, but I digress). You have figured out how to dodge elks, moose and even reindeer, with or without sleds. Cyclists, well, your Danish colleague has had that figured for a while. Then someone in head-office has the idea to do a pilot in Australia. So, you get the heat thing figured out, right hand drive, how to overtake trucks bigger than trains, and you dial back the 14 types of snow requirement for the first release. But one thing catches you by surprise. Actually for the last few years Volvo have been filming and analysing Kangaroo movement and behaviour. It causes havoc with the sensors as the hopping makes measuring distance really difficult. 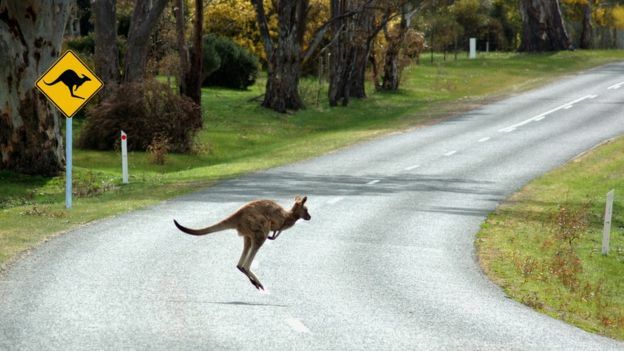 Turns out that Kanagaroos account for roughly 80% of vehicle/animal collisions in Australia. See https://www.gizmodo.com.au/2017/06/volvos-driverless-cars-cant-figure-out-kangaroos/ for more. So what does this have to do with HR software product management? Well a bit. It is unlikely that you can gather all the requirements and design the perfect solution in isolation of customer reality. Some big requirement will come along and catch you on the hop. Agile or not, hopping is part of the gig. Localization requires people on the ground in the country to work out the real details. I’m reminded of the sculpture of an elephant on the Basel Cathedral (google it). Australia is complicated. The leave rules and accruals there are the HR equivalent of kangaroos. If anyone ever says, “How hard can calculating leave rules be?” Send them to Australia or New Zealand. Then wait.